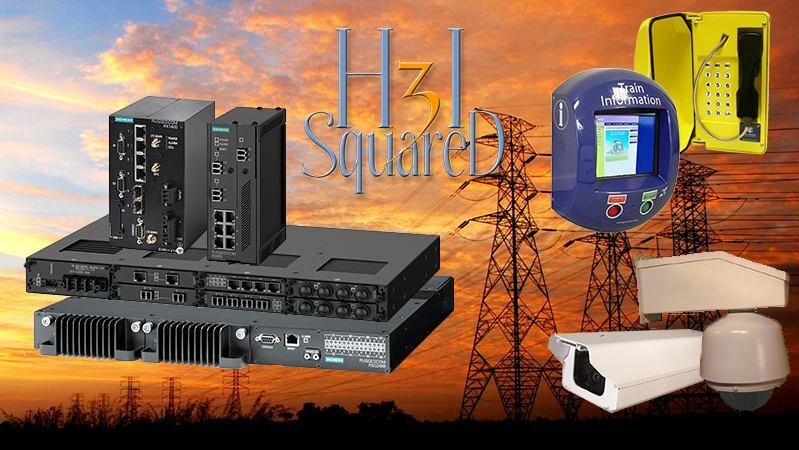 H3iSquared offers reliable substation hardened industrial Ethernet products such as industrial backbone communication switches, routers, wireless devices, serial device servers, voice over IP phones (VoIP), and hardened IP video solutions. Keeping the new IEC61850 standard in mind, H3iSquared offers training, breakdown support, design and products to fulfil a client’s requirements to ensure they benefit from efficient systems and minimum downtime, adding to the safety of their process. H3iSquared is the official distributor in South Africa for the Siemens RUGGEDCOM line of industrial and utility grade networking hardware. RUGGEDCOM solutions are IEC61850-3 compliant and include a wide variety of Ethernet and TCP/IP products, including backbone and edge switches, routers with a wide variety of WAN options, wireless devices and serial devices servers, with all of these units catering for industrial, utility, military or ITS environments. A serial device server will convert RS422/232/485 to IP in order to bring legacy equipment onto newer communications networks. Industrial Video and Control (IV&C) is an IP camera management solution that integrates industrial IP cameras or analogue cameras converted to IP into any SCADA or HMI. The benefits of visual confirmation on currently running processes is increased safety and security. IV&C is completely scalable based on your infrastructure and is capable of managing large networks of cameras. With LAN and WAN bandwidth control, camera deployment over existing infrastructures and remote monitoring are possible. GAI-Tronics, for whom H3iSquared is the preferred distributor in South Africa, is a leading manufacturer worldwide of industrial voice over IP phones. The phones are hazardous area intrinsically safe, which makes them suitable for all industrial and utility applications. All VoIP units are SIP compatible (RFC3261) and have features such as loud volume ring, background noise cancellation and the ability to be powered via PoE (Power over Ethernet). GAI-Tronics also provides analogue and SMART analogue phones, which allow analogue phone systems to be remotely monitored using the telephony infrastructure. InHand Networks provides industrial grade 3G routers specifically designed for easy remote access to remote sites. Allowing for a variety of different VPN options these devices can be used to achieve secure remote access to any site with 3G (with 2G failover) signal. The different VPN options available mean that a customised solution can be put together for almost every scenario, and the built in IPSec and other security features means these remote access tunnels into mission critical networks can be properly secured. Limited SMS control means that basic control and status checks can be performed from any authorised cell phone. H3iSquared specialises in customised solutions to provide the specific functionality required by customers. The company realises that every communications network is unique and should be approached as such, and works directly with customers to provide a solution that will achieve all required communication goals whilst staying within limits such as budgetary allowances. It also provide training solutions on industrial Ethernet communications, which can be as simple as a day or two course specific to certain hardware, or as complex as a full week or more course covering everything from the birth of Ethernet up to advanced topics such as dynamic routing and network security. Please feel free to contact H3iSquared for further information on training or the unique communications solutions we can offer. In today's utility industry, Smart Grids are a key topic, with most utilities having already migrated, or in the process of migrating over to a distributed Ethernet network to interconnect various remote sites and control rooms into a single Smart Grid system.